Kechie’s Financial Management Solution is fully integrated with all other Kechie modules including sales, supply chain and inventory management. This solution provides the necessary tools to gather critical data, manage assets and accurately report on the financial performance of an organization’s business. 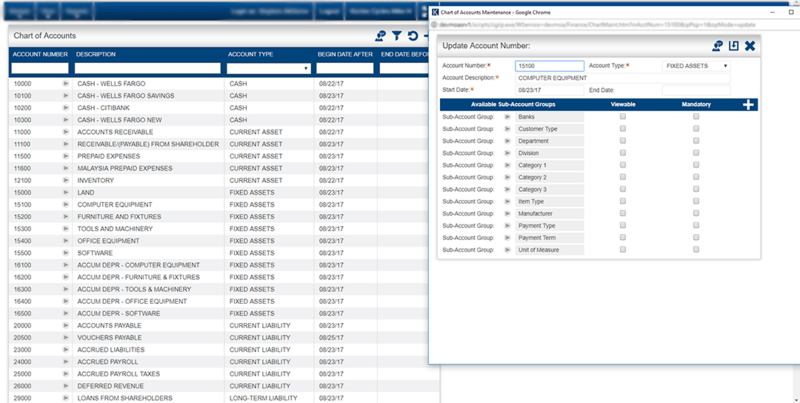 Among other features, Kechie offers a streamlined data integration process for an efficient implementation, a flexible chart of accounts structure for detailed reporting and customized user authorization profiles to streamline and control all aspects of an organization’s finances.